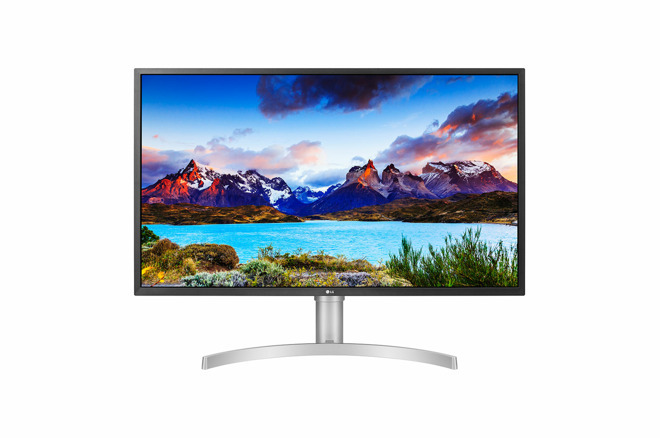 LG on Monday unveiled the 32UL750-W, a 31.5-inch, 4K LCD monitor with a variety of additional perks, such as USB-C for video and power on connected Macs. The display has a 3,000:1 contrast ratio, and offers HDR10 for more detail in shadows and highlights, LG said. It also covers 100 percent of the sRGB color gamut and 95 percent of DCI-P3. Refresh rates run up to 60 hertz, with support for AMD's FreeSync technology used to prevent image tearing and input lag. 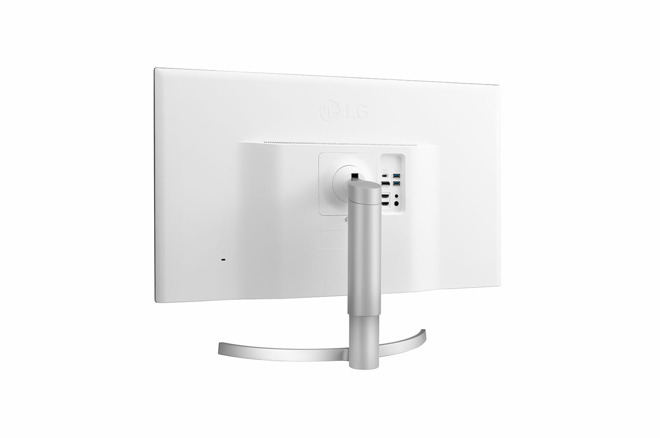 Video ports include USB-C, DisplayPort 1.2, and two HDMI 2.0a connections. The USB-C option may be the ideal one for most Mac owners, since it can handle video, data, and charging at up to 60 watts -- typically enough for a MacBook Pro. Other features include a dual-port USB 3.0 hub, and two 5-watt internal speakers with a headphone jack. The 32UL750-W is currently available only in Japan, but should ship to the U.S. in the near future for $749. It’s a VA panel, which means generally better contrast ratio compared to an IPS. I really hope it's made out of better materials than the current model. When I first saw it at the Apple Store I couldn't believe that it was such cheap plastic, which literally creaked, and groaned, when touched or adjusted -- it flexed under pressure. That's just not a good pairing for an Apple product. But slower refresh, worse view angle and worse color than IPS. All professionals use IPS monitors just for reason of color. Viewing angle also isn’t as good which is important for the type of people that spend big on Apple gear, land would like the ports this monitor comes with. Still, for gamers, a VA panel might be preferred as a compromise between the choice between a straight TN or IPS screen. I wonder if it has freesync or g-sync? All in all I wonder just who LG is targeting with this monitor. I think it depends. A good TN/VA is still superior to lower-end IPS. What would it take for Apple or LG to release s competitor to a Wacom pen display? Apple Pencil is supposed to be much better than Wacom pencil. Something in the 24-32” diagonal range for use with CAD and animation software. Can already do this with an iPad Pro, so the only barrier here is size to match those you mentioned (which are what the latest Cintiq Pro sizes are maybe not coincidentally). I have the 27" 4K version of this monitor at home. If the above images are accurate, then it appears to be built in the same manner from lots of cheap, creaky plastic. Also, the DC power adapter likes to fall out if you look at it wrong. According to the website the maximum brightness is 600 nits. This is not up to HDR spec of 1,000 nits, but it will be very bright (slightly more than the Ultrafine 5K which tops out at 500).